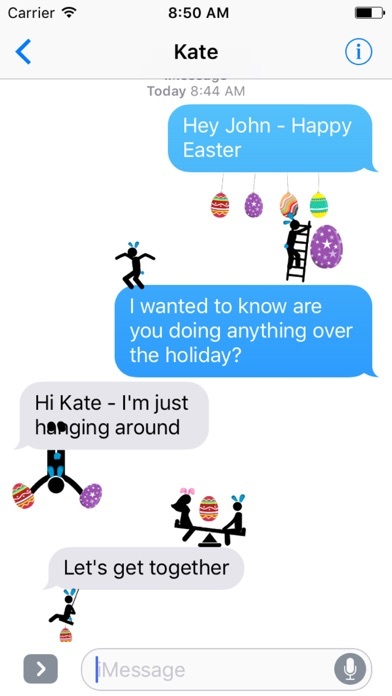 Animated Stickmen for Easter are fun. Eggs and hanging around - this is stickmen at their best. 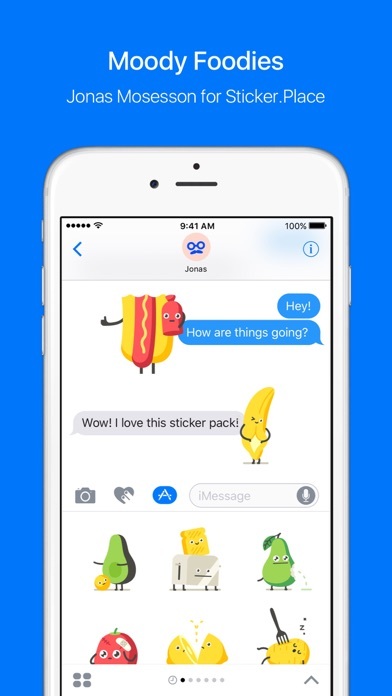 All Stickmen interact with your messages. 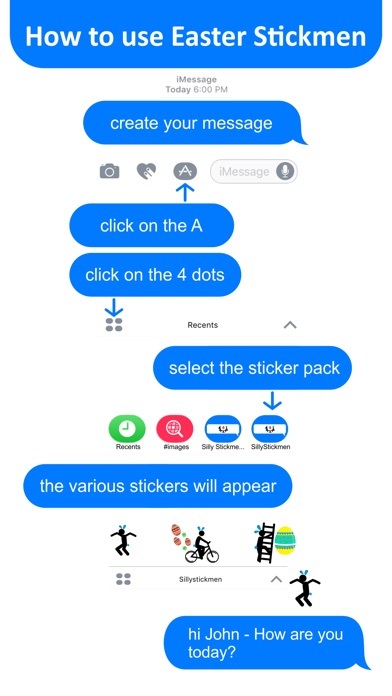 To use the stickers, send your message first and then stick the stickmen on to the message by dragging them with your finger to the place you'd like to put them. Release Notes: Updated icons to look better on your screen.